There is a fairly predictable set of patterns that have emerged in daily life, in general: If it has words, she will stop and read it aloud. If it is on sale, she will (want to/) buy it. 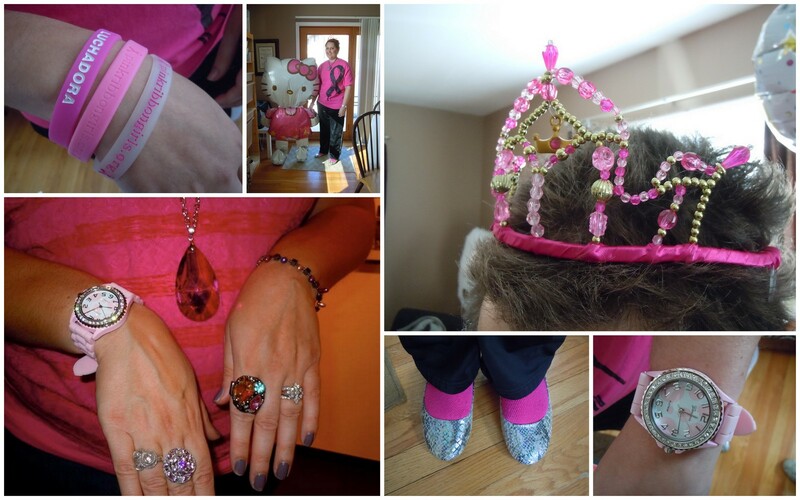 If it moves or makes noise, it will startle her to say “Woah, what’s happening?” If it’s shiny or glittery or pink or sparkly, she will wear it (sometimes all at once). If it’s cardboard or plastic, she will recycle it. If it is paper, she will first (want to) shred it (so we have to act fast and intervene with some things!). I also have used the following way to describe the singular focus she frequently gets locked into: You know when you don’t see a curb in the parking lot, and accidentally drive up onto it… and then you sit there, and no matter how hard you were to press the gas pedal down, or how quick you throw it in reverse, you are just STUCK. This is often V – she’s just spinning her wheels up on the curb, unable to mentally move forward or backward. And we either climb up and sit with her in the car, or band together to push her off the curb if we can. Example of Vanessa spinning on her curb! She sat down and started looking at the drink menu, she ordered, and her drink came, as you can see. But she wasn't able to then stop and switch to the food menu, until she continued reading through all the pages of the drink menu. 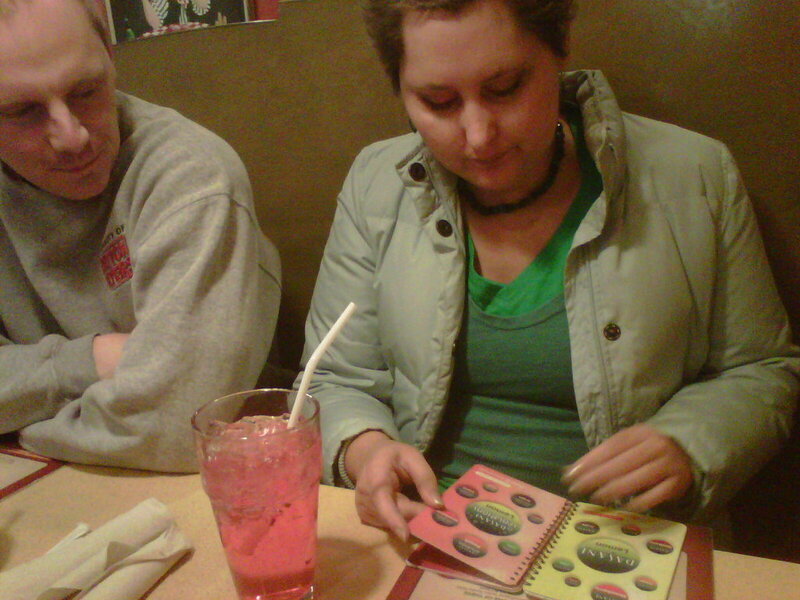 Then she finally (with some prodding from B and me), was able to start looking at the food menu. Sometimes these stuck moments seem to have a purpose: With the drinks it seemed like she was checking to see if she could find strawberry flavor anywhere else in the book. So still a kind of random, slow, unimportant seeming task that Vanessa 1.0 wouldn’t have delayed ordering her food for, but a purpose all the same. Other stuck moments are completely without a known-to-us purpose. I wouldn’t be surprised if V has a line of reason that makes sense in her head, though, that we just can’t see or realize or understand, or that she herself may have since forgotten. 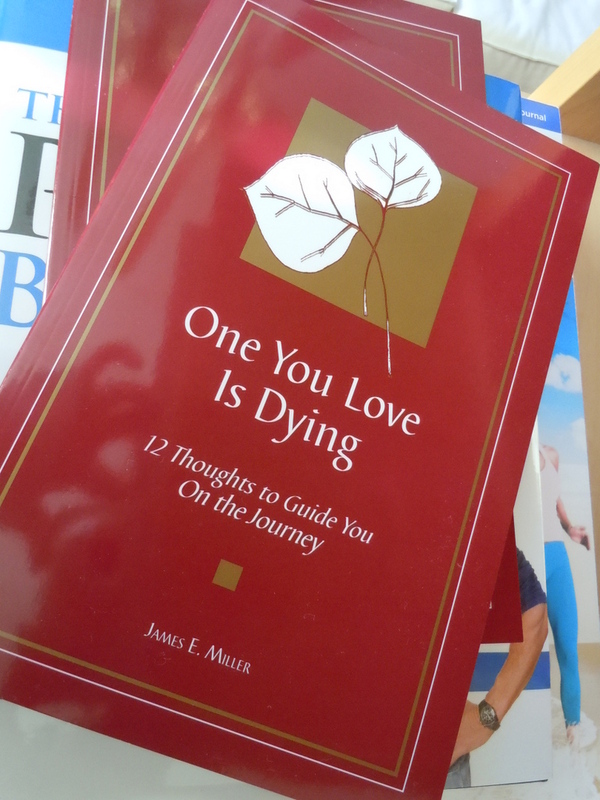 Very helpful book provided by hospice - helped us realize our range of emotions is normal. We’ve also recently, as a big family group and also in smaller combos, have had some chats with our nurse, social worker and chaplain from hospice, and their perspective has been very helpful. Everyone who works for hospice has been so nice – go figure, eh! ;) We’re already so grateful for their support, whether we need a quick medicine change for V, or advice on a new symptom, or caregiving suggestions, and I know they will be continually helpful as we go. Sometimes, as V pulls inside a bit more, we pull together more, too. Christina and I often spend more time with Billy than Vanessa when at their house, as she works on various projects throughout the house. In the little bit of time Mom, Christina, Billy and I don’t spend with Vanessa or working, we are calling each other to confirm the plan for the next day, talking through our approaches to certain issues, seeing how the day went, etc. These days, as hard as they are, still bring moments of joy. Laughing over old stories of our childhood (today we cracked up talking about how V’s room decor in the 90s cycled through pink ribbons, to sunflowers, to Americana flags, to blue and black…), sitting around as sisters, Billy high fiving Vanessa after she finds the right word. This is Vanessa’s life, now, in hospice care at home with her family, dying of stage 4 breast cancer with mets to the brain.